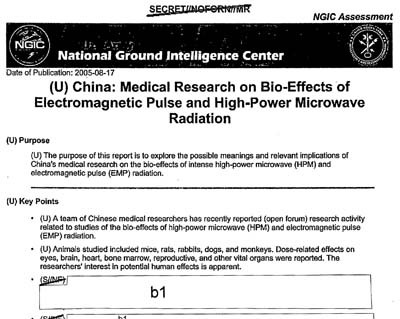 Washington, D.C., July 21, 2011 – In 2005, U.S. intelligence agencies monitoring Chinese research into high-power microwave (HPM) and electromagnetic pulse (EMP) radiation speculated that Beijing might be trying to develop a capability to incapacitate Taiwan electronically without triggering a U.S. nuclear retaliation, according to documents published in a major new National Security Archive collection. In recent years, China’s development of an assortment of conventional and nuclear weapons has regularly attracted the interest and concern of U.S. policy-makers, intelligence officials, and China watchers. So has Beijing’s interest in less conventional means of conflict, including cyber-warfare – with Chinese hackers recently linked to or suspected in a number of incidents, notably breaking into highly sensitive U.S. government computer systems (see CBSNews.com, for example). 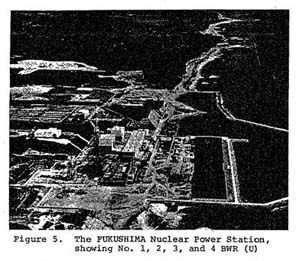 Other recently declassified materials describe similar military concerns. A U.S. defense intelligence document from 2001, for example, details Chinese plans for developing radiofrequency weapons (although it stops short of speculating on their possible purpose). Still others reflect on issues of current interest, for example the risks of constructing nuclear power plants – like the Fukushima facility that exploded after the recent tsunami – at questionable sites in Japan. These and 2,300 other records are part of a new National Security Archive publication, U.S. Intelligence and China: Collection, Analysis and Covert Action, the latest addition to the “Digital National Security Archive” series published through ProQuest Information and Learning. A sampling of materials in this important new collection is posted below. The Press Didn’t Just Report Accurately on Trump-Russia Corruption. It Prevented the Corruption From Being Worse.